The MF Factory 500 group had a chance to start the new year off right with a member tour on January 7th. This outing was a chance to see three very diverse collections around Pittsburgh's North Side and Troy Hill area. The Factory 500 group explored Craig's large collection of bikes. 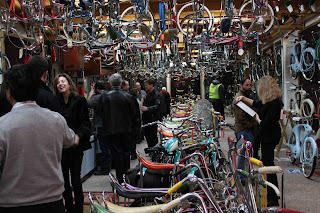 Our first stop was Bicycle Heaven on the North Side. Craig Morrow has spent years of his life collecting vintage and modern bicycles from around the world. The oldest bikes date from the 1890s and his collection ranges into the thousands, including very rare collectibles. Craig sometimes dissembles old bikes that come his way and sell the parts on E-bay. In addition, he rents modern trail bikes to people who want to explore the North Side trail. He has even dealt with movie studios who are looking for period-appropriate transportation. And like Craig said, "Everything is for sale...for the right price!" 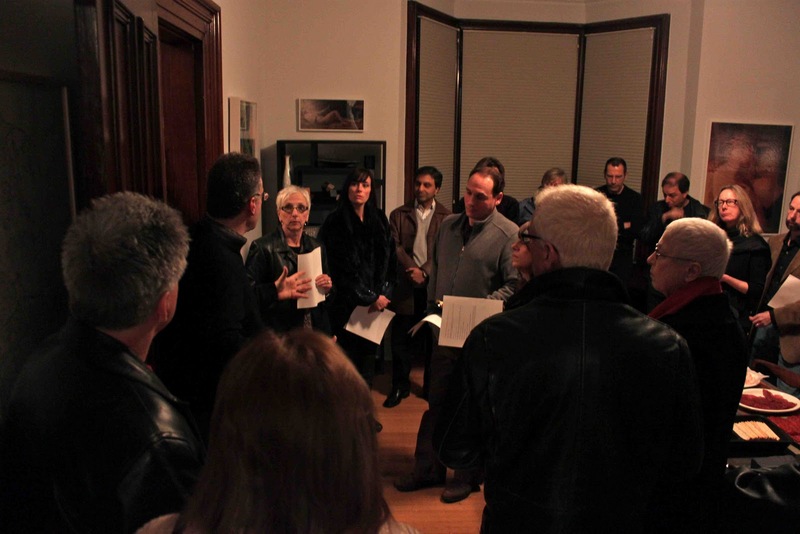 The group was led in a tour of St. Anthony's Chapel in Troy Hill. 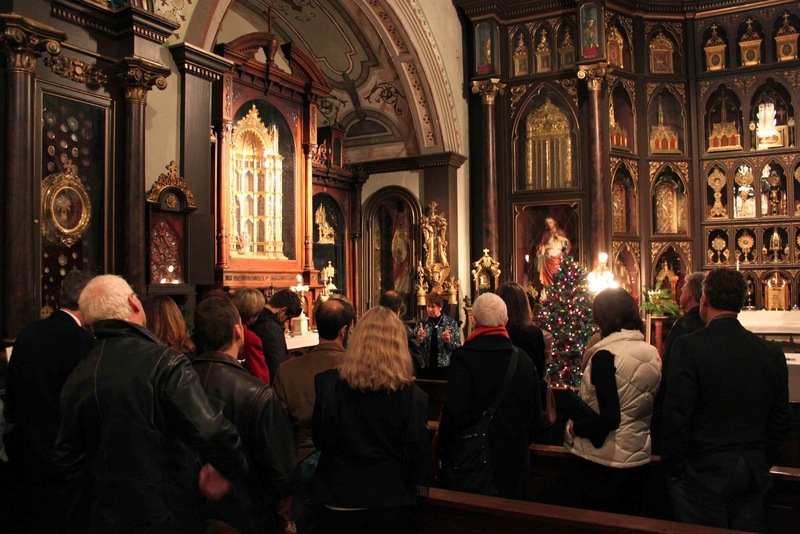 The second stop was another famous collection in Pittsburgh: St. Anthony's Chapel. The chapel was founded by Father Mollinger in 1868, and it became a sanctuary for Roman Catholic holy relics he purchased throughout Europe. He spent all of his considerable fortune building, maintaining and outfitting the chapel to house the relics he collected. Bones, teeth, cloth, sculls and other fragments are displayed throughout the chapel. 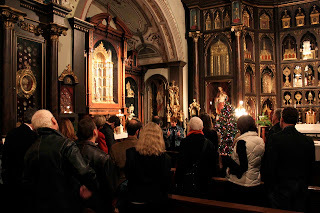 St. Anthony's Chapel has over 5,000 relics from hundreds of saints and martyrs of the Catholic faith. The group listens as Evan Mirapaul (left) explains some of the history behind his collection. The third and final stop was Evan Mirapaul's house in Troy Hill. Evan has a beautiful house filled with wonderful collections of art and photography. 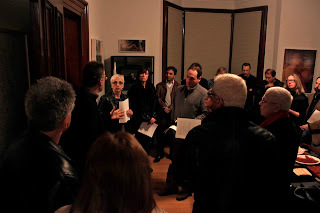 He invited the group to explore his home and ask questions about his collection. While they were there, our members were able to enjoy some wine and light refreshments, and socialize with some of Evan's friends and neighbors. Thank you to all who made it such a great night! To see more pictures from the event, you can check the MF Flickr Gallery. 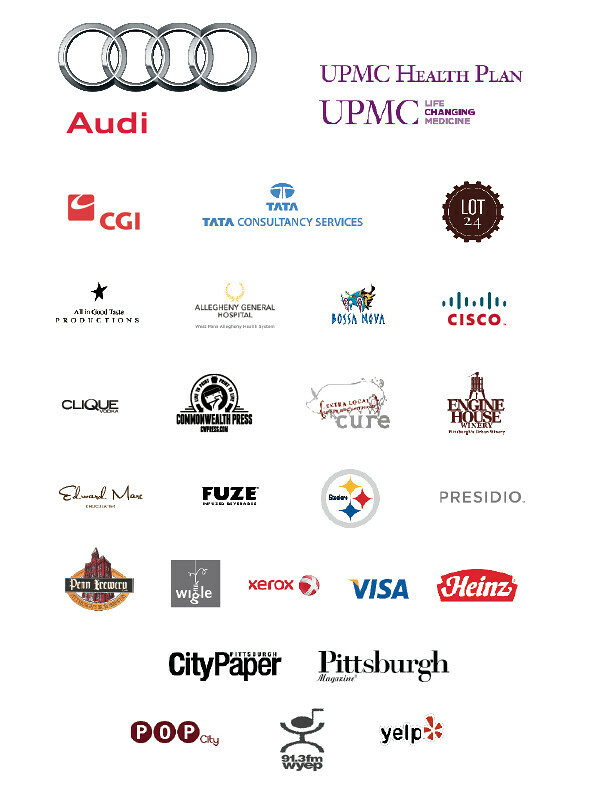 If you would like more information about our Factory 500 member tours, or would like to become a member, please give me a call at 412-231-3169 or visit our website. 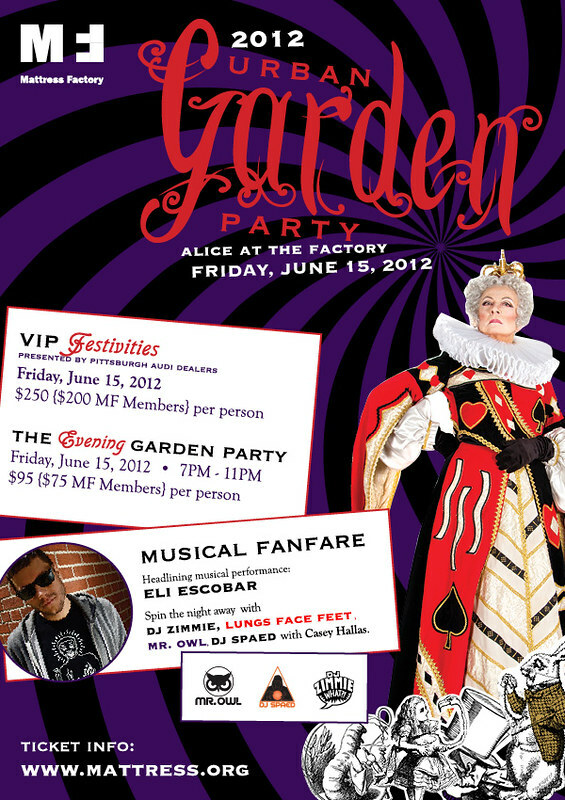 Join us for the Mattress Factory's biggest fundraiser of the year, the Urban Garden Party: Alice at the Factory – chaired by Susan and Scott Lammie – Friday, June 15th, 2012! Each year, the Urban Garden Party becomes the talk of the town as more than 1,000 attendees turn out to help support the museum's mission in a festive, celebratory atmosphere. 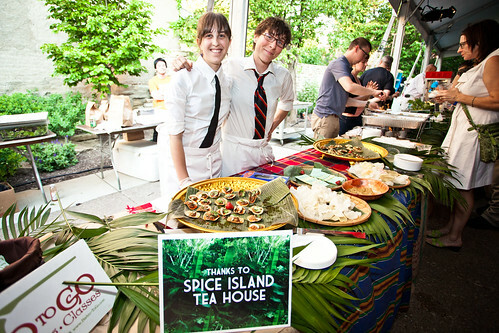 The 2012 Urban Garden Party will take place from 7:00 PM to 11:00 PM on Friday, June 15, 2012. A VIP Pre-Party presented by Pittsburgh Audi Dealers, hosted by Bob Sendall of All in Good Taste Productions, will began at 6:00 PM. The last two parties have sold out, so purchase your tickets early!